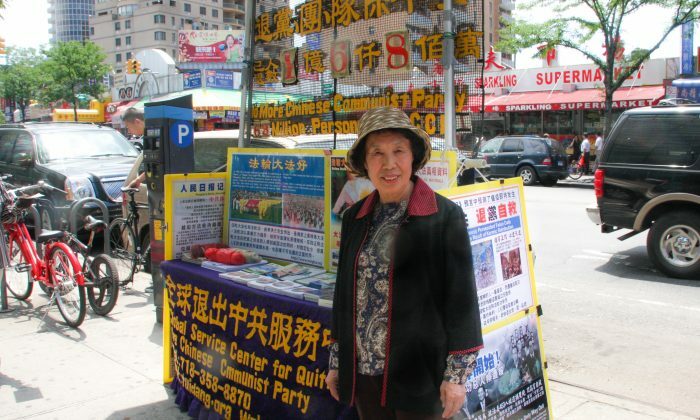 Beginning in 2004, thousands, then tens of thousands, then over one hundred thousand Chinese people began renouncing the Chinese Communist Party every day. The service that recorded these statements calls itself the Tuidang Center. And now it has recorded 200 million renunciations—about a seventh of the Chinese population. The important thing is not the collapse of the CCP but freedom of the mind. The Chinese Communist Party claims it has 85 million members, indicating that most of the renunciation statements don’t draw from the ranks of Party members themselves—but nearly everyone who grew up in China once joined the Young Pioneers or the Communist Youth League. China has a population of 1.4 billion people. So the Tuidang Movement “still has a long way to go,” Tompkins said. The present numbers come from a process of rigorous checking. The Tuidang Center receives about 120,000 renunciation statements daily. Each statement is reviewed by editors who weed out spam messages, advertisements, foul data, and, sometimes, information about corrupt officials. About 10 percent of the statements are sent back for further clarification and validation. The Tuidang Center issues a unique ID to users whose statements are accepted—about 70 percent daily—and adds these to the official tally. For instance, Russia “went back to a system of governance that has many characteristics of communism” a decade after the collapse of the Soviet Union, according to Tompkins. With the Tuidang Movement, however, “Chinese people now have the opportunity to understand what freedom really means,” Tompkins said. An army veteran loses hope in ever being treated justly by the Chinese Communist Party and chooses to publicly withdraw from it. Democracy backer and financier sees major business interests leaving the country .